BC Transplant supports leading research and helps put research findings into action to improve patient care and the BC health system. We are committed to continuously improving patient care. 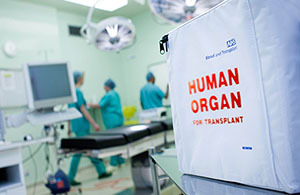 To fulfill our mission of saving lives through organ donation and transplant, research plays a vital role in the evolution of the patient care we provide throughout the province. Much of this research in BC is done through the Transplant Research Foundation (TRF). If you are looking for data for a research project, please visit the 'Data & Reports' page.